Robin has lived with her husband John, a KW Commercial Realtor, in Manatee County for more than 30 years. Originally from Massachusetts, Robin has devoted her entire professional life focusing on exceeding customer expectations. Prior to real estate her career was spent exceeding customer expectations working with, managing, and consulting about customer service. Robin formerly worked for major telecommunication company, in the Quality and Customer Service arenas for 20+ years instructing, managing and facilitating employee process teams in Fortune 500 companies. 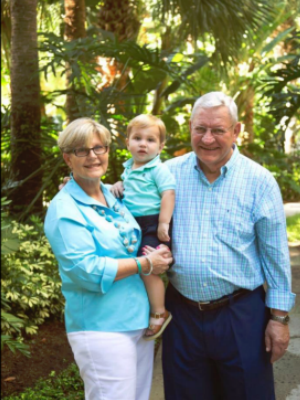 She later owned and managed a retail store in Bradenton, and worked in Operations Support for a Sarasota investment firm with very special clients. Robin joined Keller Williams to focus on the residential market and has been fortunate to have had the opportunity to work with many wonderful buyers and sellers helping to achieve their dreams. Robin finds enjoyment working with customers in their pursuit of buying or selling homes or income property. Robin is prepared to more than meet the needs of those clients interested in the luxury market to those looking for a retirement oasis. She takes a very professional, yet personal interest in every customer, making sure that every detail is taken care of. Robin received her B.S. degrees in Business Management from Nova Southeastern University. She loves to travel when time permits and to spend time with her family! Robin and John are Owner/Investors in their Market Center. Robin is active in the Manatee Association of Realtors, is on the ALC, an officer in the Manatee Chapter of Women’s Council of Realtors and is also a member of The Manatee Chamber of Commerce.